"It was a long day. Stressful. My boss, yeah, she criticized me. I went home after five to an empty apartment and threw something in the microwave. While waiting for my food, I picked up this book..."
"I read the first page because the story looked good." "After finishing the story, I realized I no longer felt the same about...."
Writing story is so much more than enabling the reader to feel the same emotions you once felt or taking the reader to the place you once went. Writing story creates a metamorphosis. In a well written story, the writer allows their past and present to morph into power-infused words spilled on the page. These words, saturated with emotionally heart wrenching, exhilarating, humorous, and transformed experiences have proven to change lives. This can ONLY happen when a writer is vulnerable with readers. Yes, transparency is risky. The doors of our heart have restricted access, no admittance without prior approval. Writing the truth can set us up for criticism. But in story, we can give these genuine feelings to other characters. The what ifs can happen. The MC can go there, knowing the risks and commitments involved. *Rockets to the moon (Jules Verne, Journey to the Moon and Back). *Computer virus (Shockwave Rider, by John Brunner, 1970's author) not the best invention, eh? Writing a story takes passion. The story in your heart is the seed that will blossom into the story that can change many people. Change, BTW, can mean something as simple as soothe, preparing the reader to face another day at work, etc. Trust yourself to be the writer God has called you to be. Days of misery come. Sometimes it doesn't seem like the situation will end. Stories can can give the strength to suffer through another day. Sometimes knowing someone else (real or fictional) is going through a similar experience, or has overcome a similar trial helps empower us to try or endure another day. Characters MUST suffer real hardships. Their feelings MUST be, not just seem to be, real. Their dilemma, consequences, victories MUST ring true. Carol Kent, author and speaker, said, "If you are vulnerable with readers, you will give them the courage to do what they couldn't do." Inundate story with showing. Jesus showed truths in so many ways. First, he lived out loud. Second, he used stories the people would understand to convey the truth. These are written that we may believe, that Jesus is the Christ, the Son of God. John 20:31 Choose intentional actions in your story. Actions that are powerful even in simplicity. A fictional male character went to his apartment alone. He didn't bother to turn on the light. She was not there. Her dresses would never be worn again, not even his favorite. Her perfume would remain in the bottle forever. She'd never laugh or touch his skin again. His head lowered, supported by his hands, his elbows wedged on his knees. Fire pounded in his head like lightening piercing, stabbing, ripping everything he was. Her tears would never moisten his shoulder. They'd murdered his wife, the only one he ever loved. The above is my retelling, a condensed version of a masterpiece written by a male author who clearly poured his heart on a page through the eyes of his male fictional character. I don't know what inspired the author, but after reading the three-page heart wrenching response to hearing his wife had been murdered, I understood his experience and can now better know how a man feels. The character was an agent, who spent the rest of the story solving the crime. The author's choice to include the character's response before solving the crime truly made the story real. Our hardships are not hidden. God sees them. He provides so many ways for us to show His love and compassion to each other...one is vulnerability in story which can sometimes display a combustion of emotions. 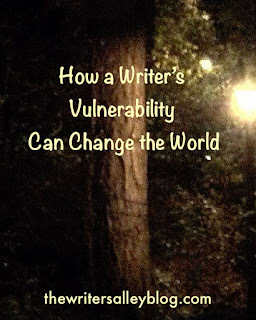 Consider how you can be vulnerable to your readers. What has happened in your life that has given you a first-hand understanding and a unique ability to convey that moment through story? I can't wait to read your comment(s)! Rock climbing, white-water rafting, zip lining, and hiking top Mary's list of great ways to enjoy a day. Such adventures can be found in her stories as well. 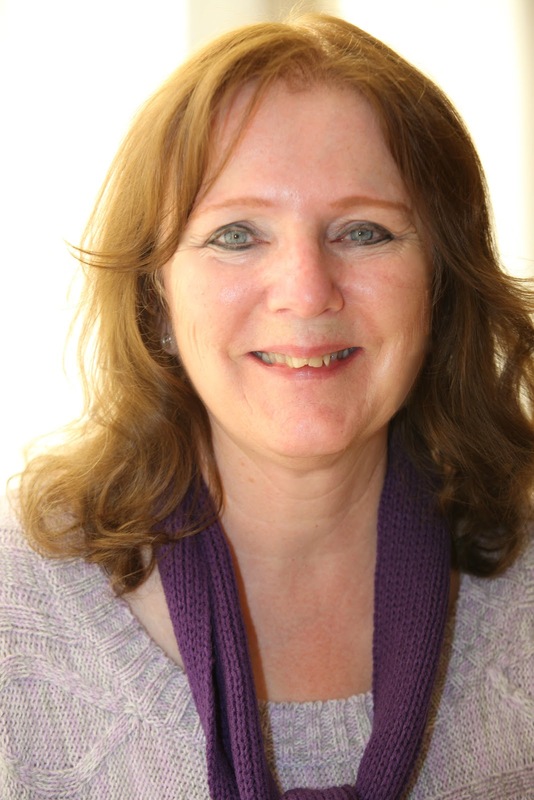 Mary writes young adult mystery/suspense, is honing marketing and writing skills, and loves to pen missionary and tell Bible event stories on her ministry blog, God Loves Kids. She has finaled in several writing contests. All subscribers to Mary's newsletter will receive her new short story an intriguing suspense/mystery. Come, read a good story. To get your free gift, sign up for the newsletter at Mary's website or: Join the adventure! Great post Mary~ thanks for the lift you gave me today! 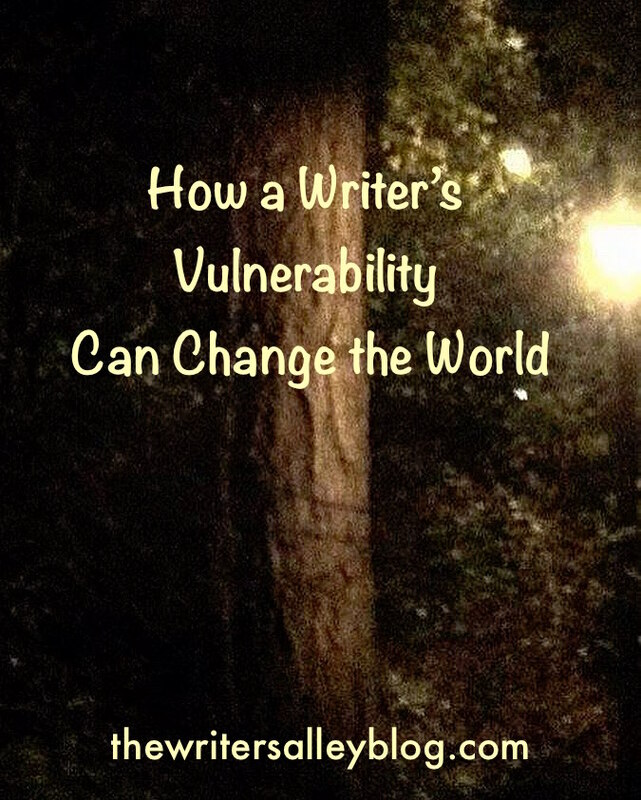 as writers we have to be transparent and vulnerable. it shows in the writing if we're not and weakens the story, it's contrived instead of real—even if it is fiction! What a kind thing to say. This is a calling, and we take it seriously. Sure is nice when others can tell. I'm so glad you joined us. And to be told a post helped someone is a high compliment. Thanks!! I agree. Completely. We may try our best, research our best...but being open is genuine and shows. Thanks so much for joining us today. Love chatting with you.